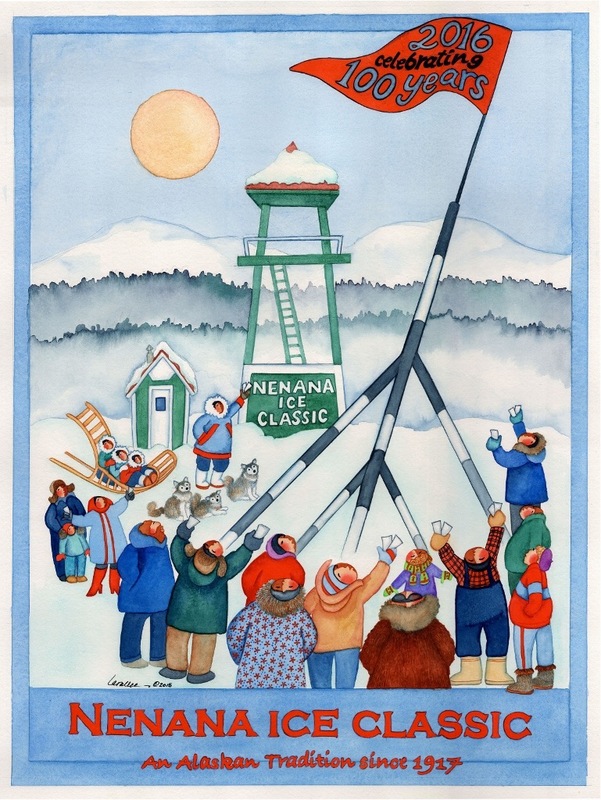 The tripod was raised for the 100th time on the Tanana River Sunday, kicking off the 2016 edition of the Nenana Ice Classic. That first year, 1917, the jackpot was $801. The largest jackpot came in 2014 when it hit $363,627. On average, 290,000 guesses are made each year. You have until April 5 to make your pick. As of March 1, the river ice was 40″ thick where the tripod now stands. This entry was posted on Tuesday, March 8th, 2016 at 12:35 PM	and tagged with art, history, ice, nenana, tanana and posted in Alaska. You can follow any responses to this entry through the RSS 2.0 feed. Best of luck to everyone! This is my first and probably not last time trying my luck!